First of all, why do I say ‘natural minor scale’, and not simply ‘minor scale’ (I also called a major scale just ‘major scale’ without any other specification)? In this lesson, we talk only about the natural minor scale, in another lesson, I will talk about the other 2 minor scales. In this example I will show you how to form the A natural minor scale. 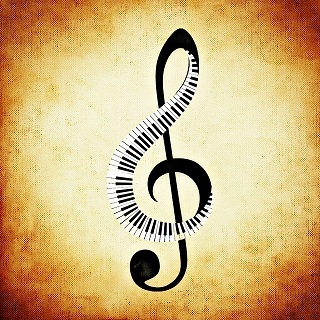 Well, as I promised, it’s very simple: the notes of the A natural minor scale are exactly the same as the notes of the C major scale, so only the white keys on the piano. The only difference is the starting note, the root: A natural minor starts on an A, where C major starts on a C. And that’s all! Simple, isn’t it? Since A natural minor and C major share the same scale (only another starting note), we say that ‘A minor is the relative minor of C major’ and ‘C major is the relative major of A minor’. Well, when you look at A minor/C major, you see that from A, when you go up a minor 3rd, you arrive at C.
So, when you want to find out –for example- what the C natural minor scale is, you have to go up a minor 3rd from C. A minor 3rd up from C brings us to Eb. 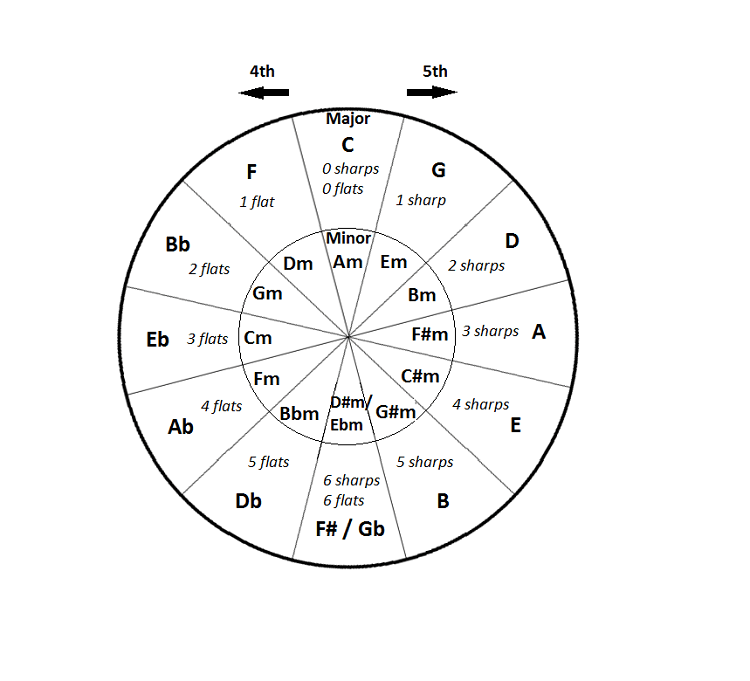 As an exercise, you could now try to find out all the other natural minor scales. The best way to start is perhaps with our list of major scales. Then start with a certain major scale, find its relative minor, and start on the root of that relative minor scale and you’re done. For example: start with the Db major scale. 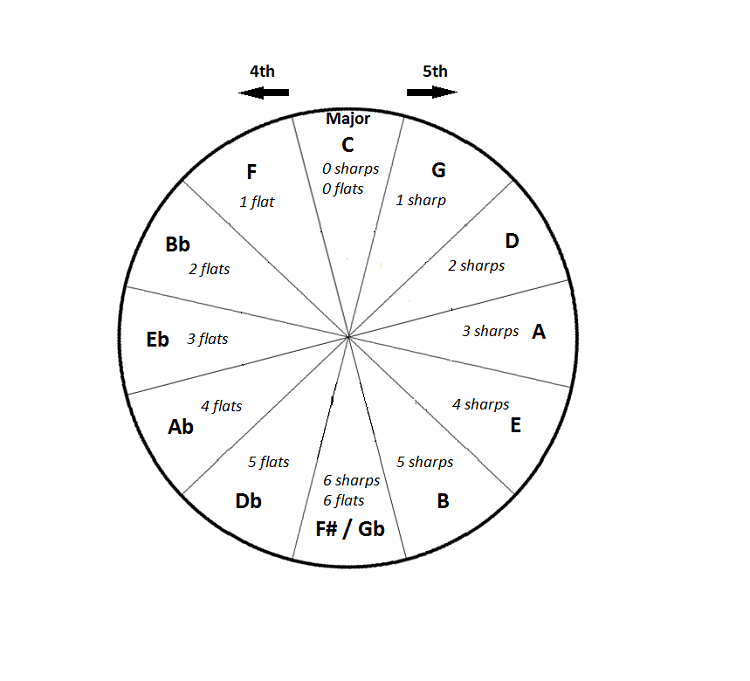 What’s the relative minor of Db major? Well, now you have to go down a minor 3rd! A minor 3rd (3 semitones) down takes us to Bb (not A#, because in the scale of Db, it’s a Bb). 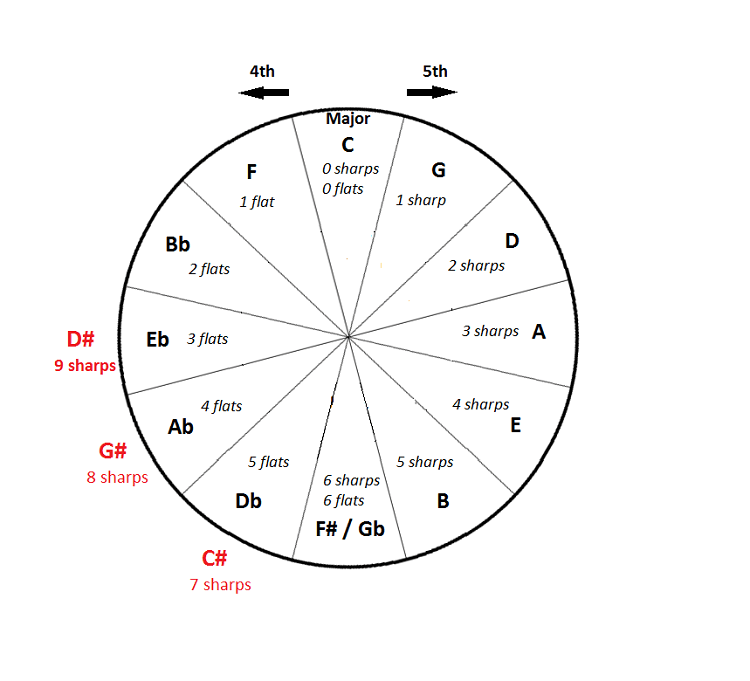 Another way to find the relative minor of a major scale is to look at the 6th note in the major scale: remember that the relative minor of C major was A minor. Well, A is the 6th note in the scale of C major. 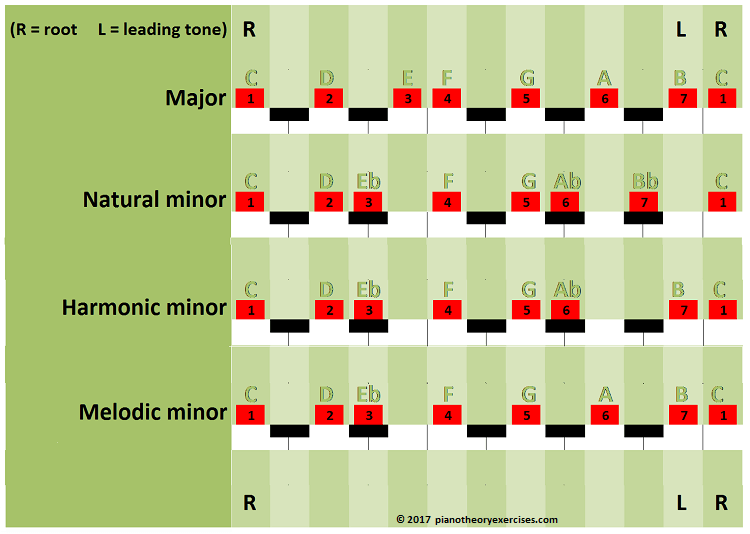 Notice that the D# natural minor scale (6 sharps) and the Eb natural minor scale (6 flats) are the same scales, only written differently (they are enharmonic equivalent). Now, it’s important to practice the natural minor scales. I advice you to do the exercise below. Please tell us what you think of the natural minor scale lesson and the exercise by leaving a comment below.